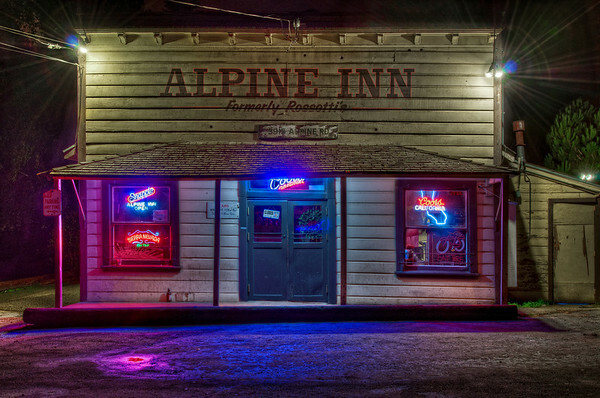 Every time I drive through Portola Valley at night I get a glimpse of the old Alpine Inn building all lit up with the neon lights but cars are always parked out front. When the bar closes for the night they usually turn off the neon lights. Occasionally they leave the lights on after they close but I never have my camera with me. Finally, on the way home from celebrating a wonderful Boxing Day evening at the Nuttals I had my camera and the lights were left on and I was able to snap this photo!